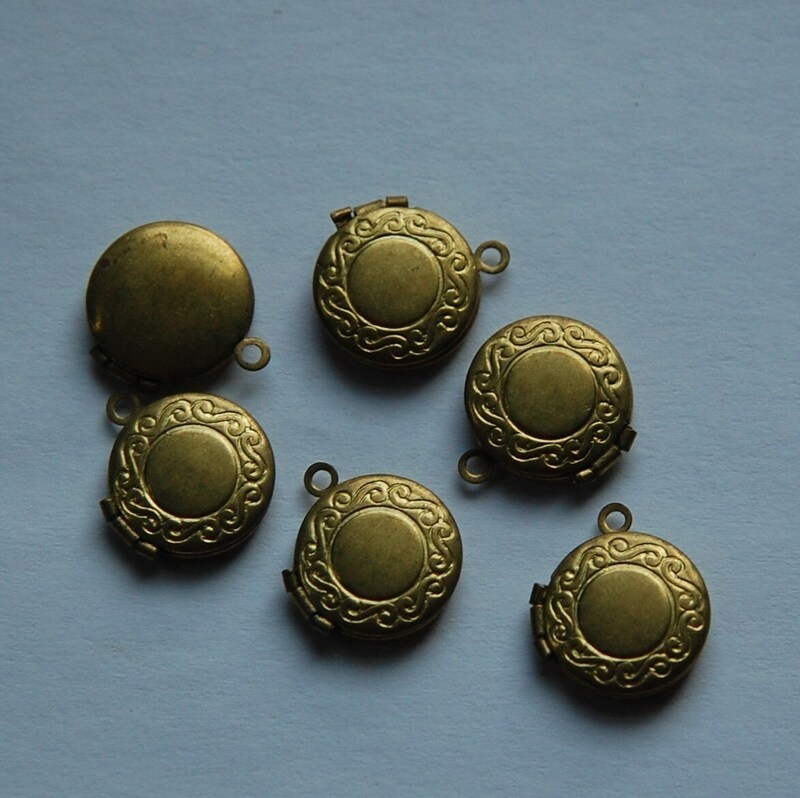 These are vintage raw brass lockets. They have an etched border on the front. The locket measures 16mm with the loop X 13mm. You will receive 6 pieces. I'm very pleased with everything I received, thank you! just as described and quick to arrive! Perfect as always thanks so much!